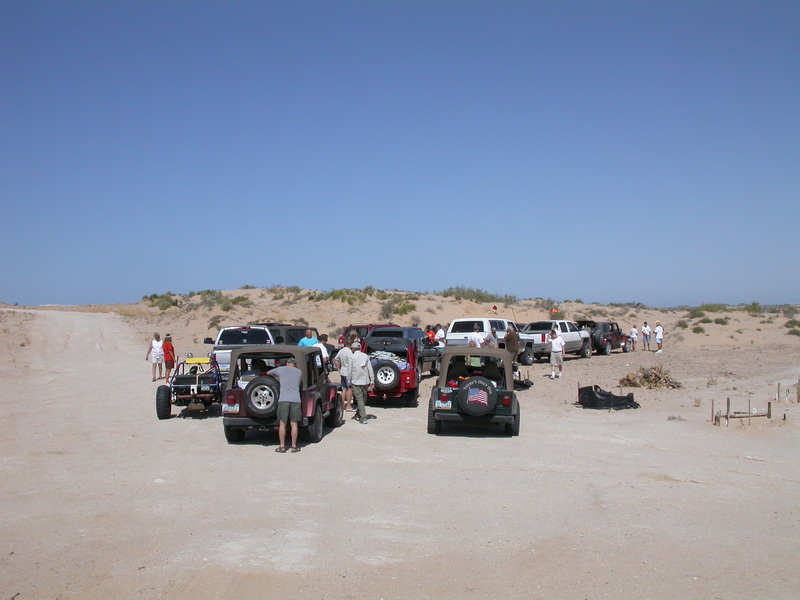 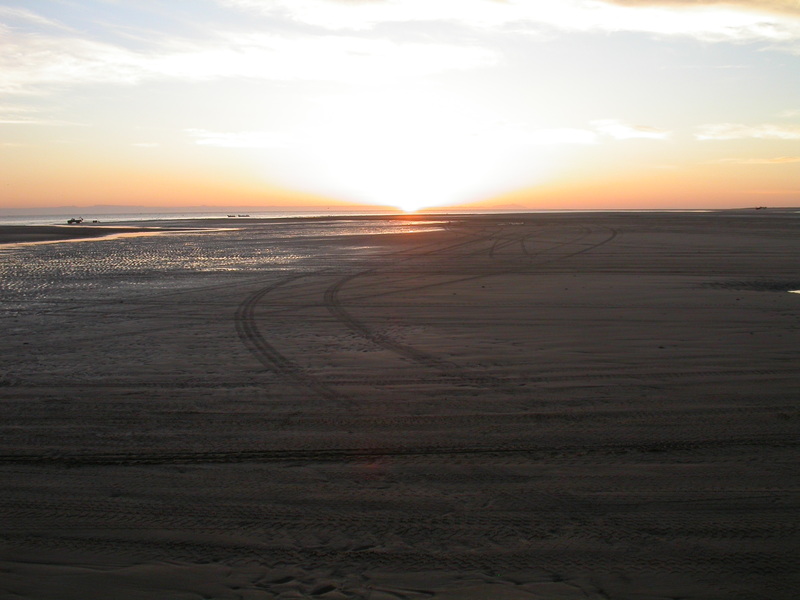 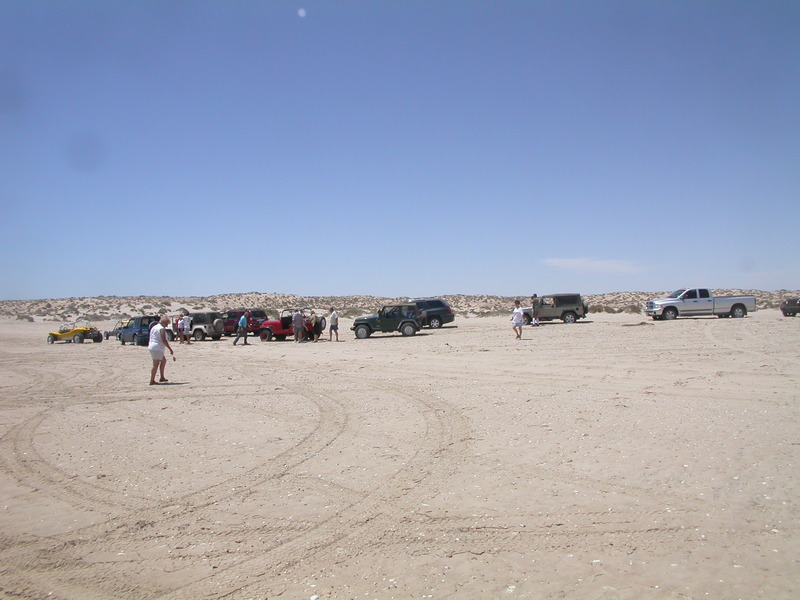 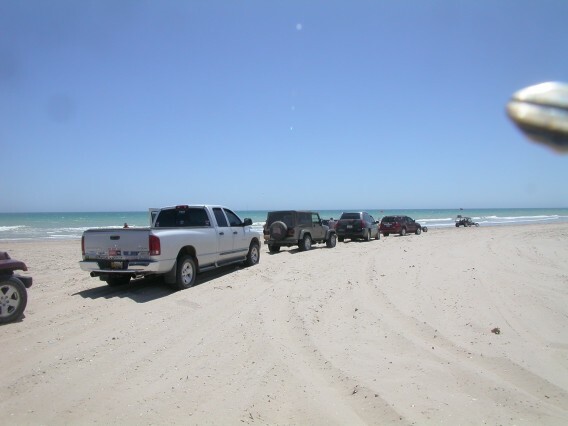 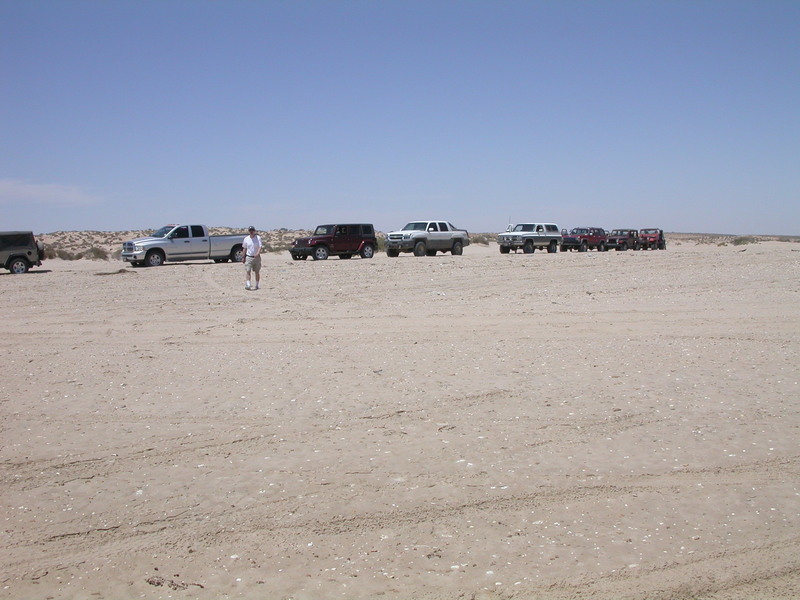 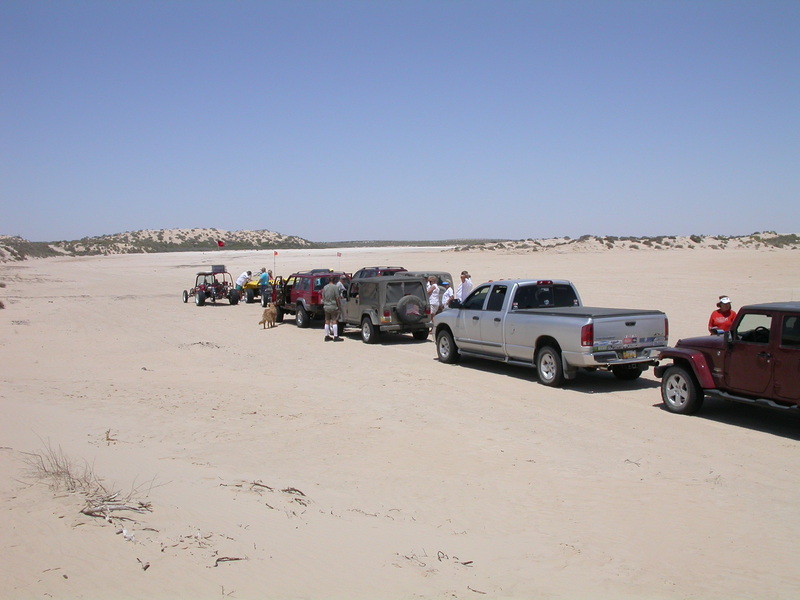 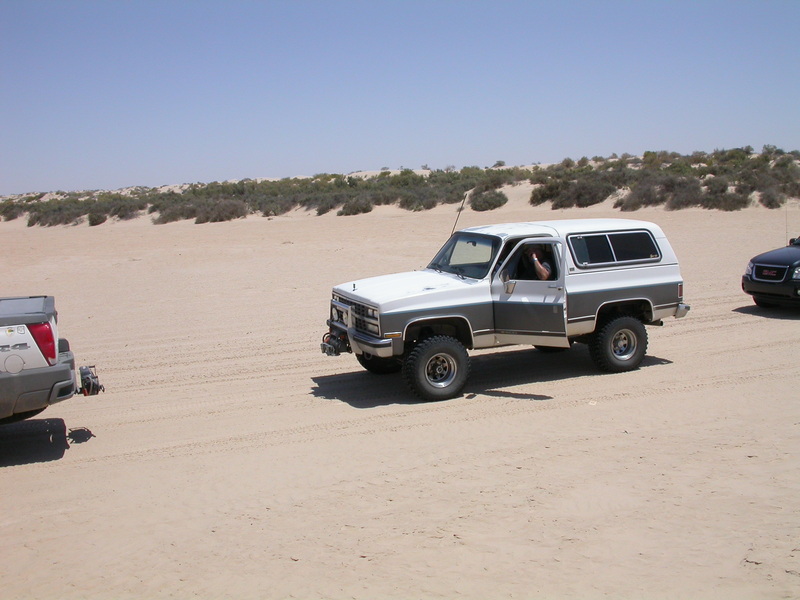 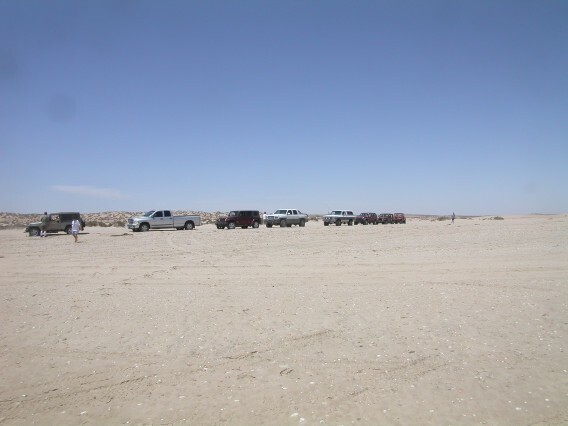 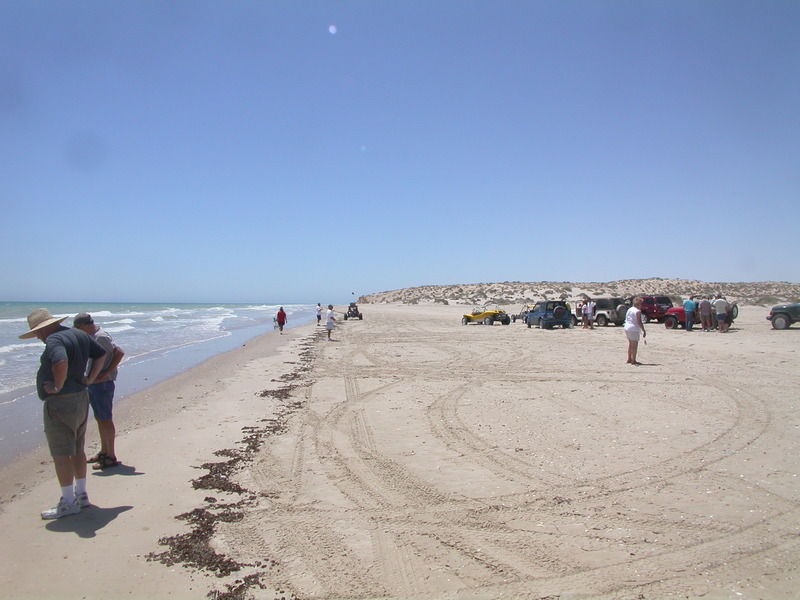 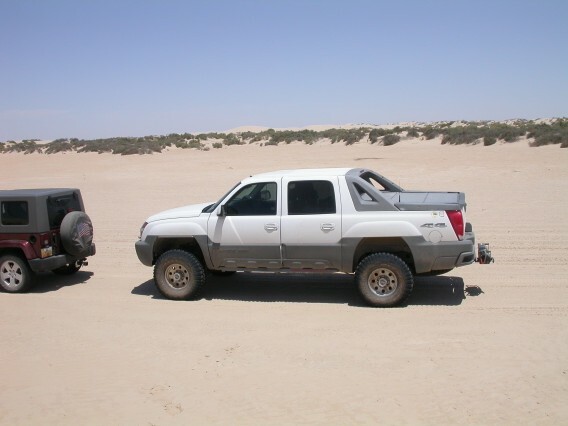 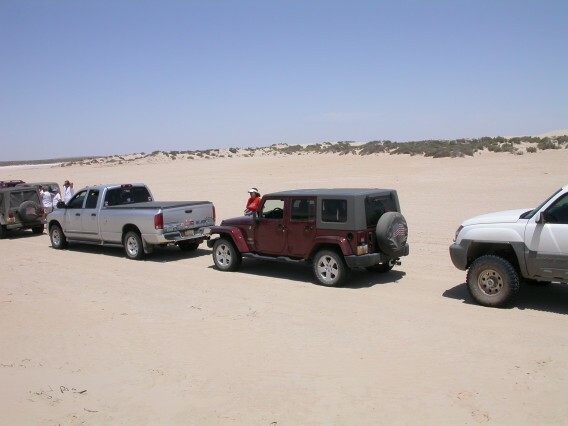 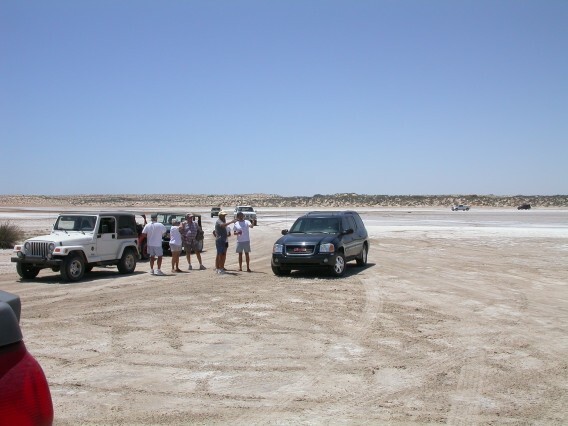 On Tuesday we joined the folks from the Rocky Point Times for the annual 4WD or buggy run from Rocky Point to El Golfo de Santa Clara (~60 miles NW of Rocky Point). 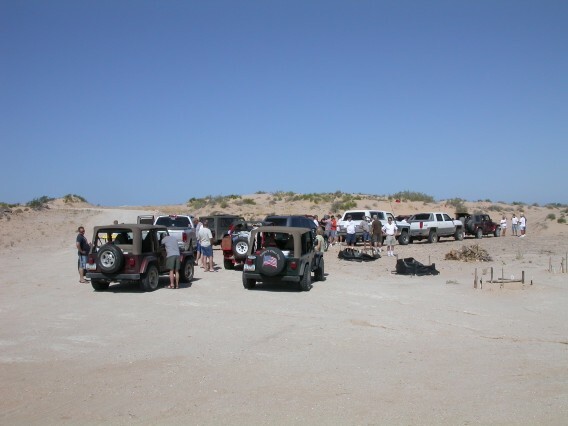 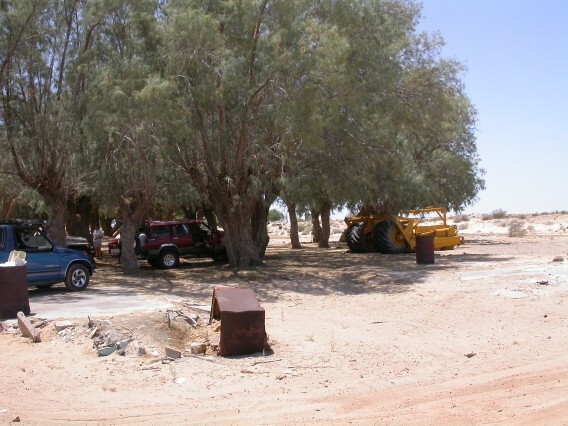 It took a while to get everyone collected, but by the time we left at 9AM we had 18 vehicles ranging from buggies, to Jeeps, to fullsize 4x4s including some shiny new 4x4 SUVs. 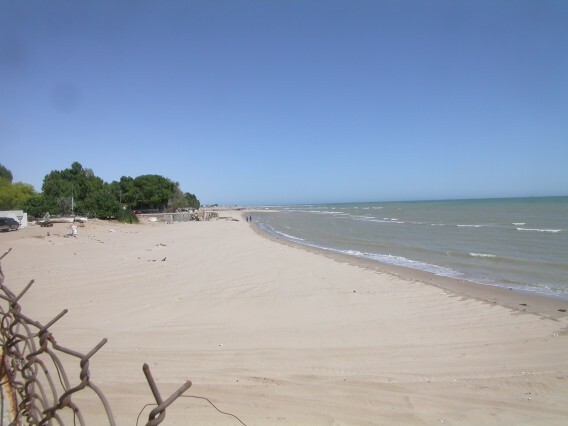 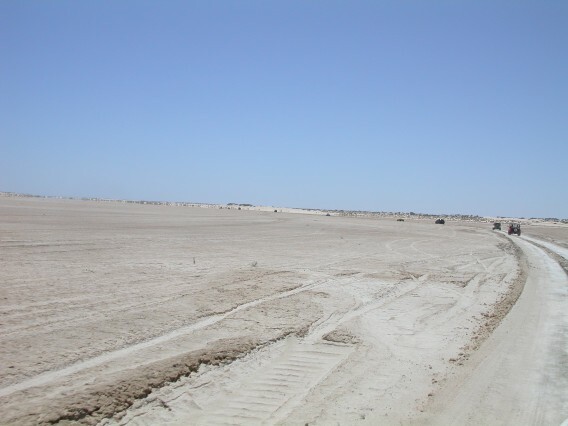 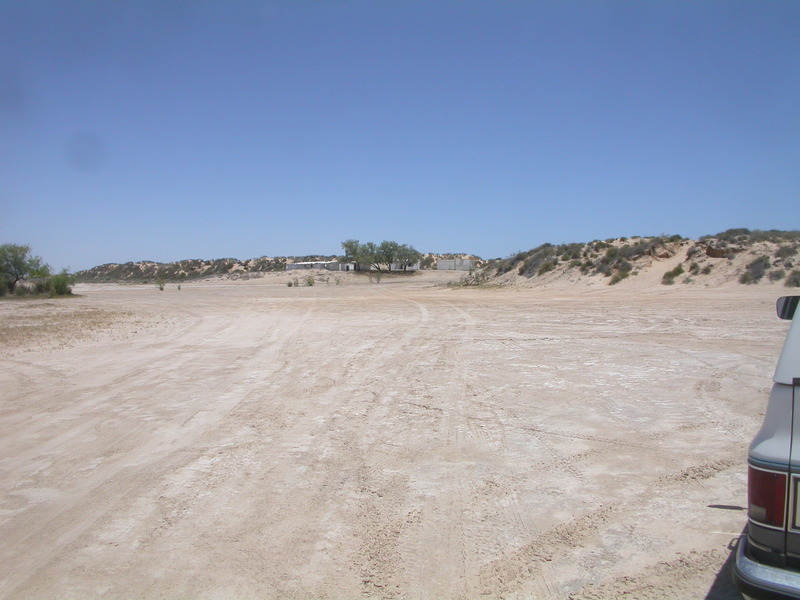 The first few miles of beach near Rocky Point are now closed by various hotel and condo developments. 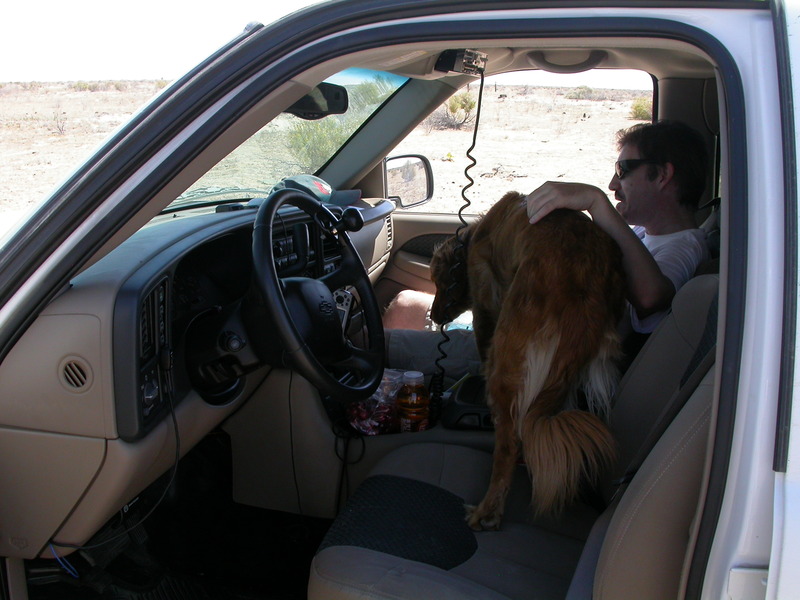 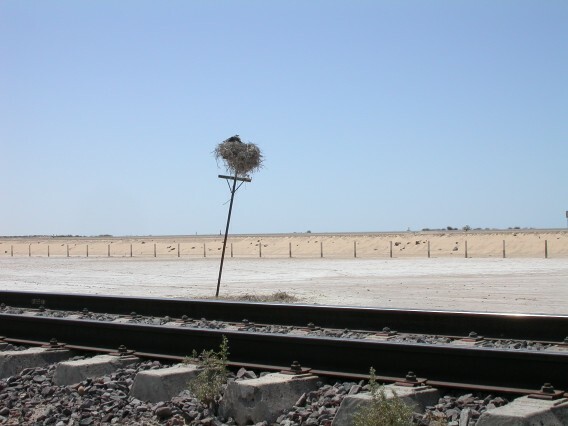 So we started the trip following a sandy road along the railroad (north side of the tracks). 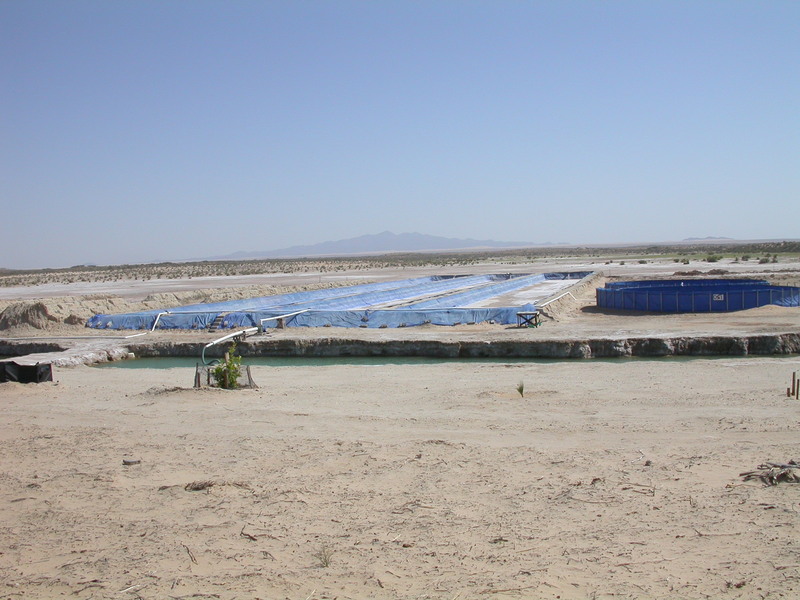 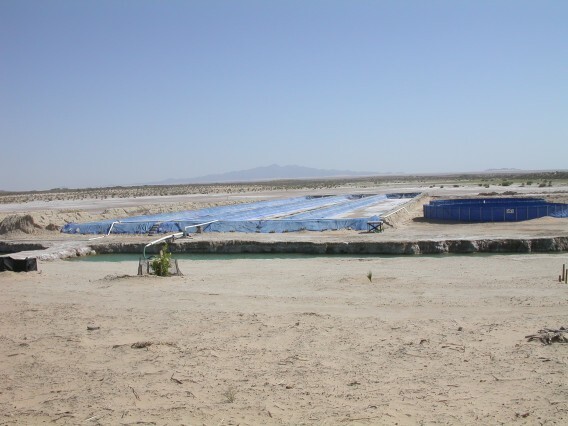 Our first stop was at a shrimp farm. 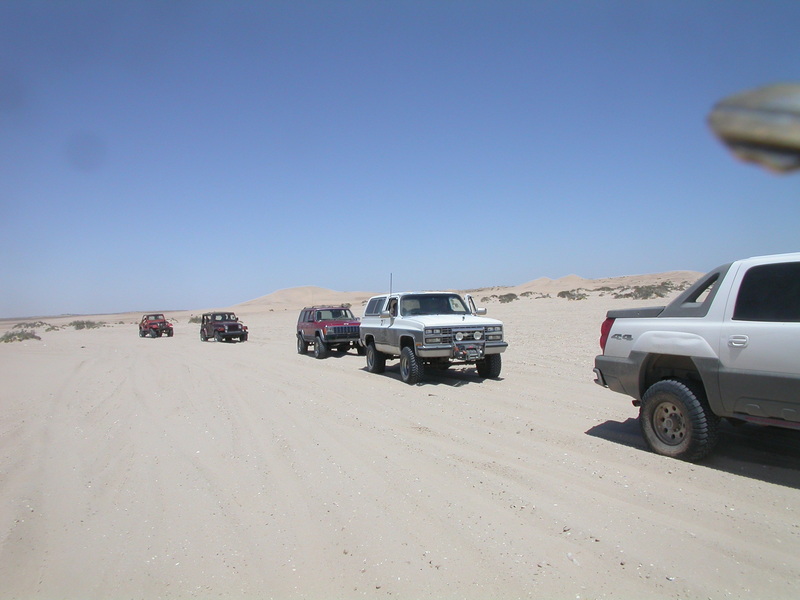 This road was fairly smooth sand with a dip every 10 meters or so to give your shocks a good workout. 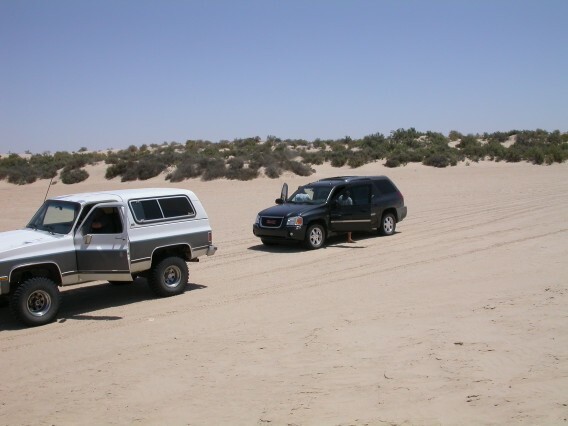 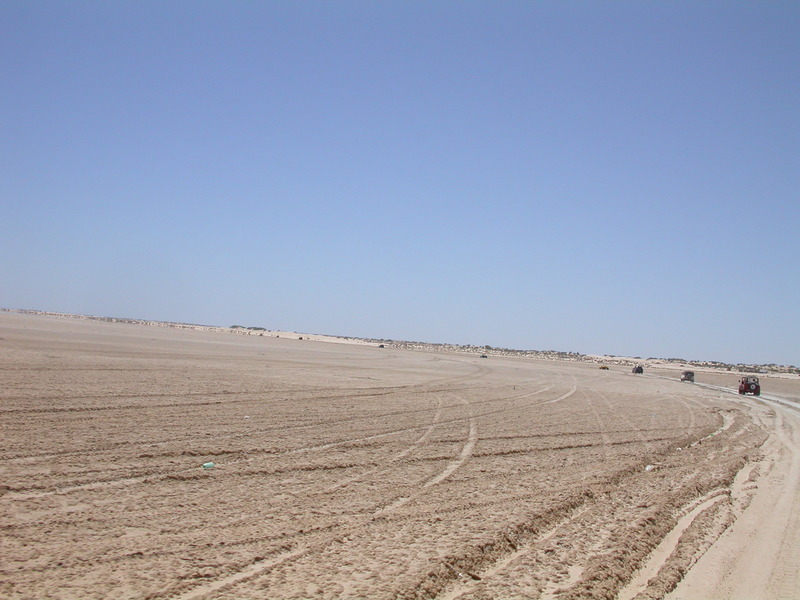 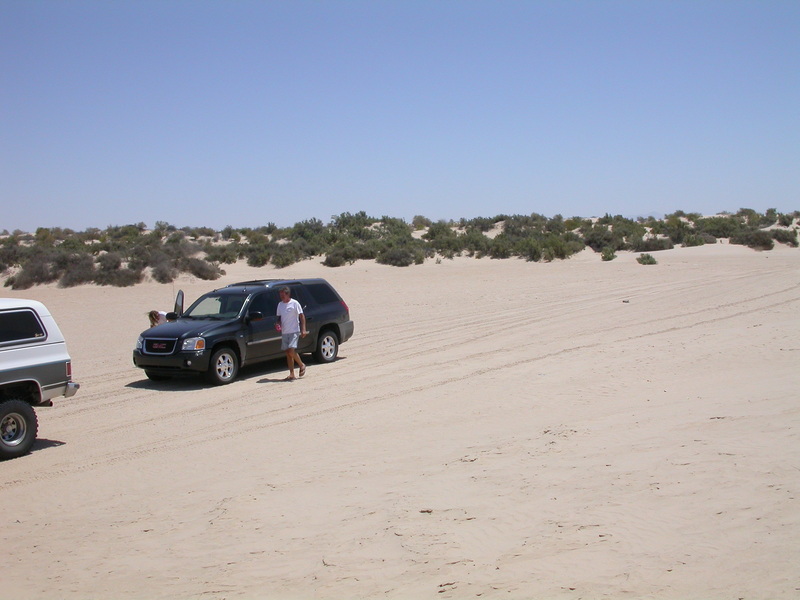 We crossed along several salt/mud flats using the railroad bed for assistance. 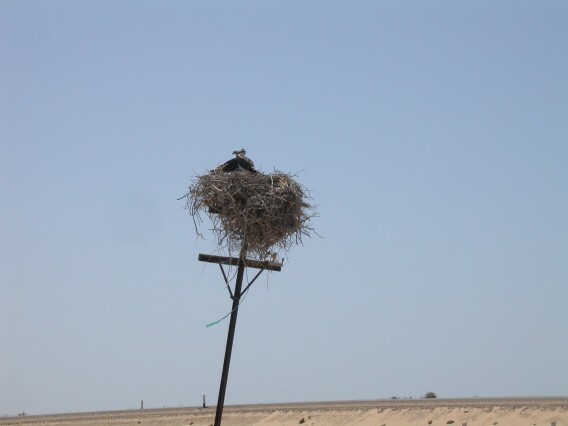 We saw a number of ospreys and their nests. 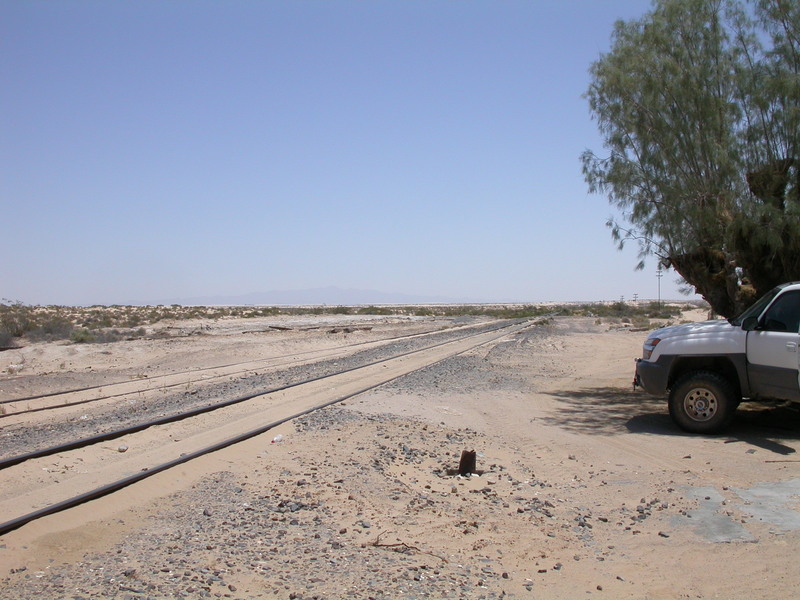 The dips and whoops lose their thrill after a while, but note that the new paved highway was about 200 meters on the other side of the railroad, so there's no reason to do this road more than once. We had lunch under the trees at the Lopez Collado station. 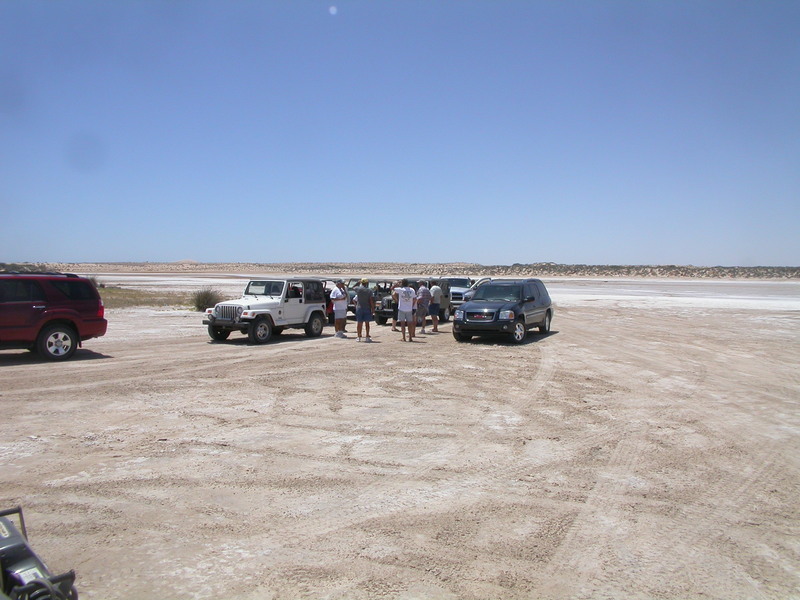 Then we crossed the new highway and started running the old road through the salt flats. 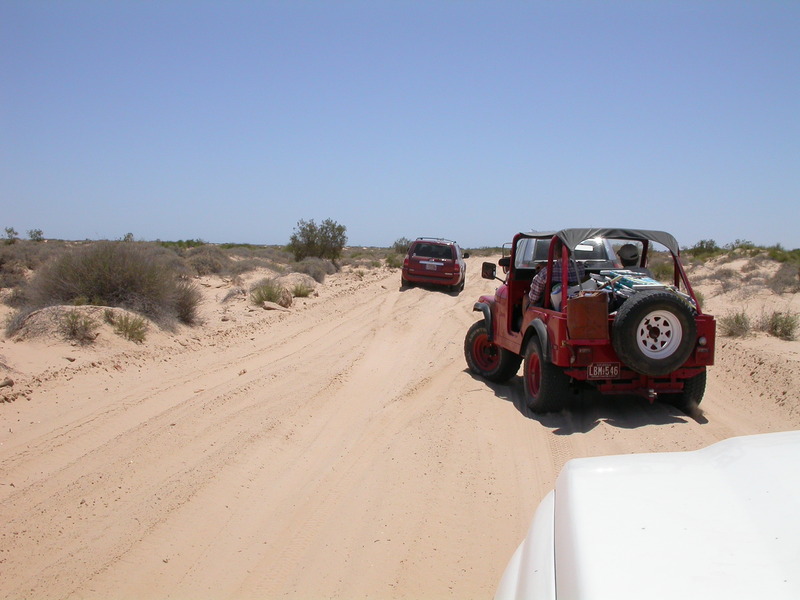 Mostly this road was pretty smooth allowing us to do 40 mph, but it is clear from the ruts that venturing off the main track will leave you stuck in the mud. 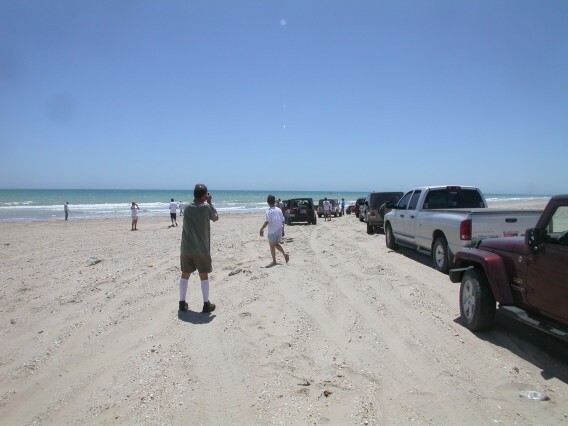 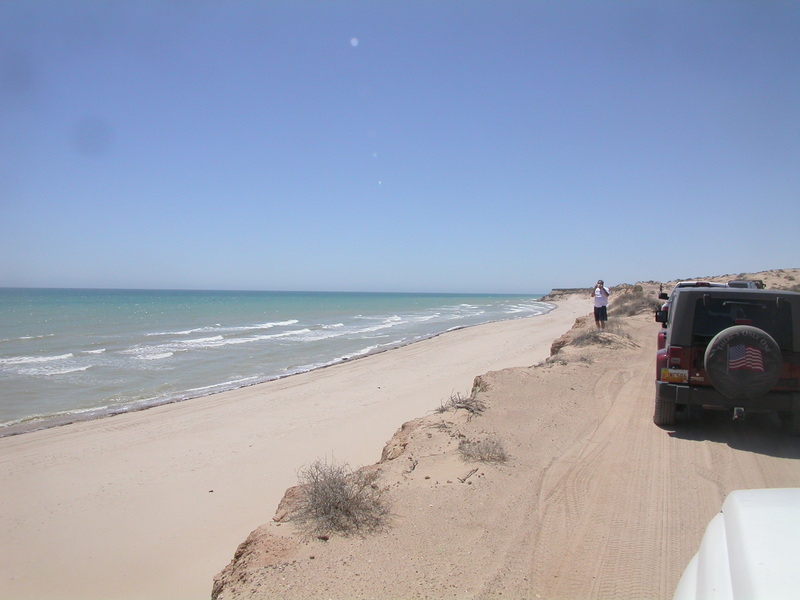 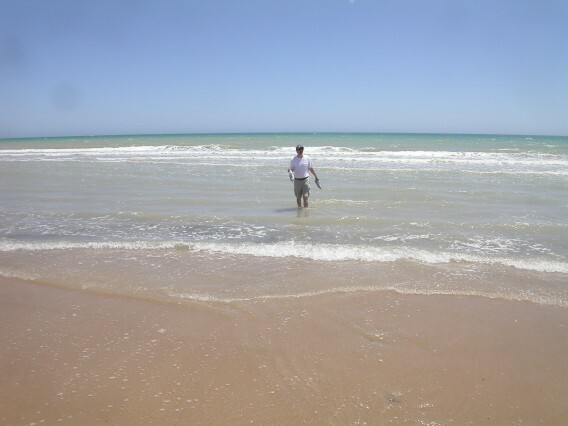 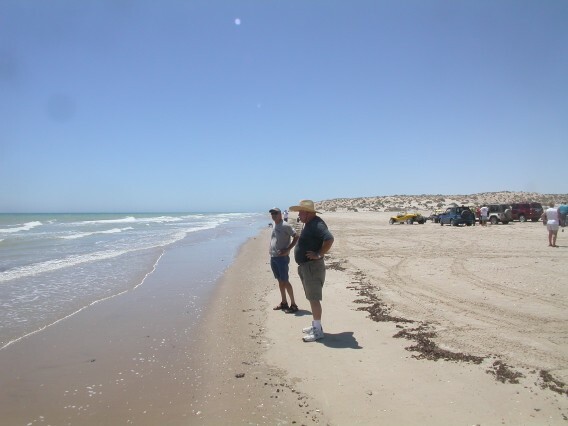 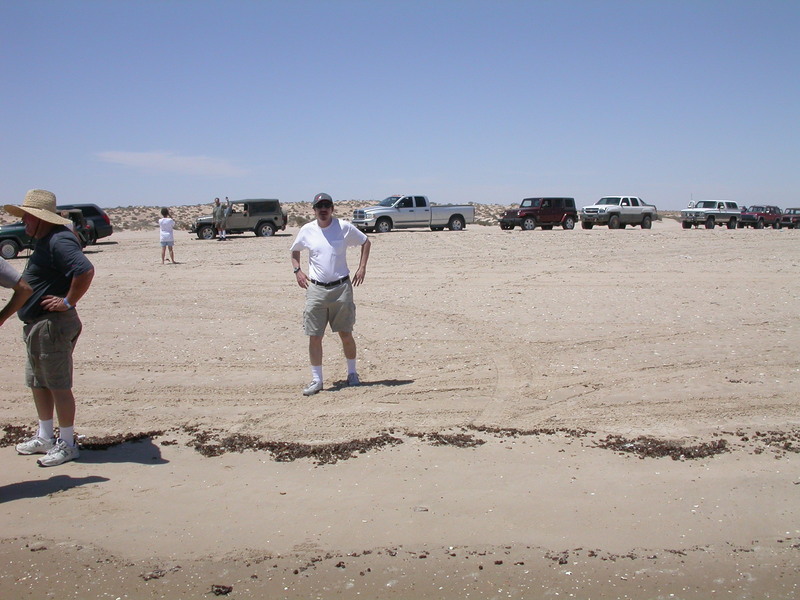 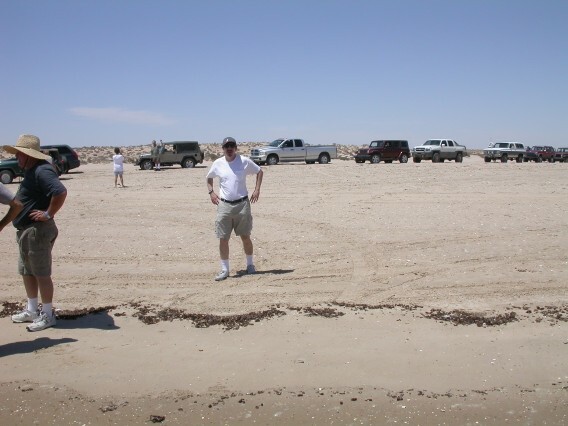 By mid-afternoon we had dropped down to the beach after the old Mexican Navy base. We ran a couple miles up the beach. 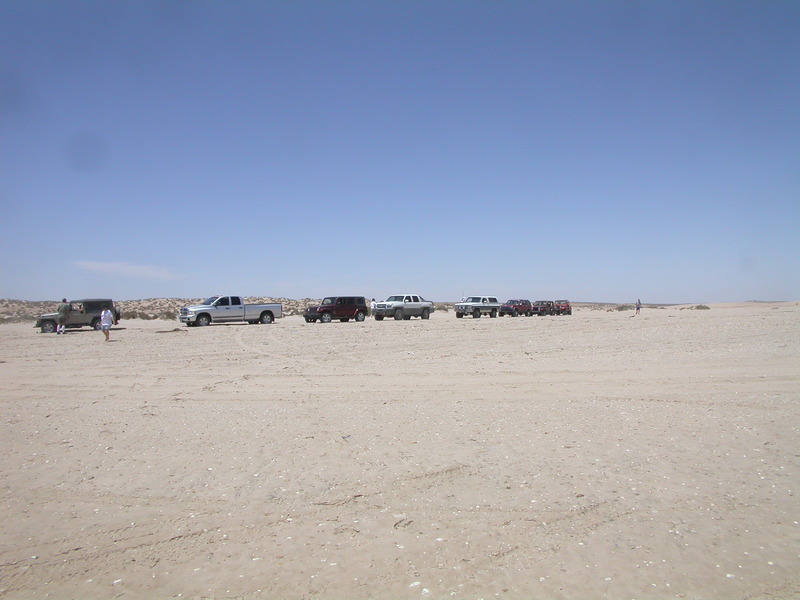 High tide and construction activity forced us off the beach and back onto the El Golfo section of the new highway (there is still a section in the middle where the new highway is under construction). 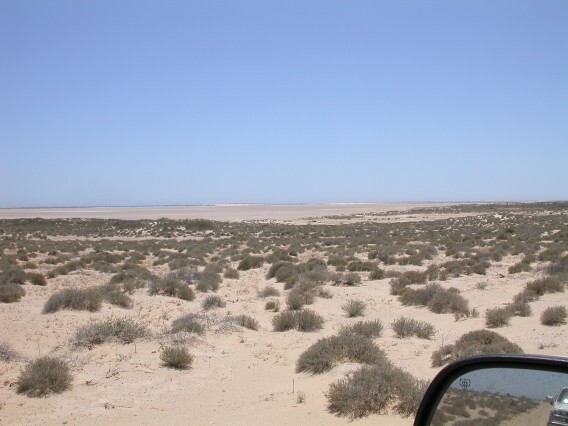 We stayed Tuesday night at hotels in El Golfo (either Las Conchas or Villas del Sol, or Los Angulos). 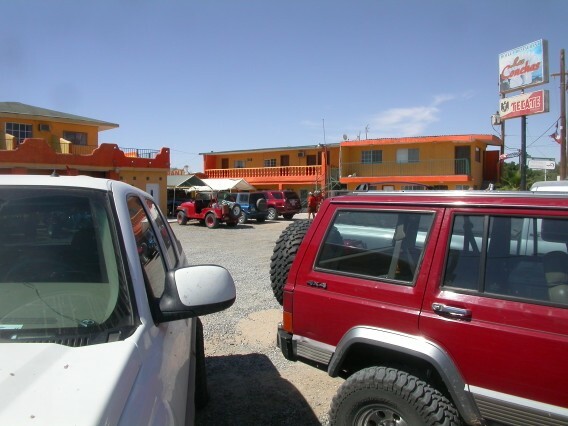 Las Conchas had a nice restaurant, but the voting was that Villas del Sol had the better rooms. 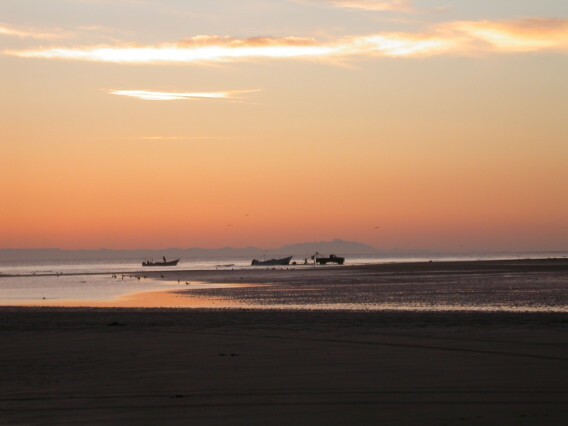 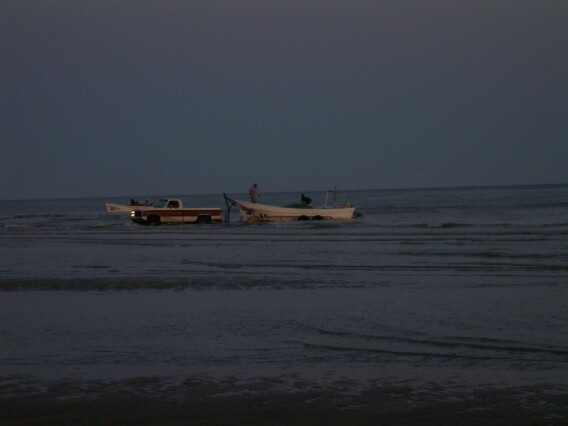 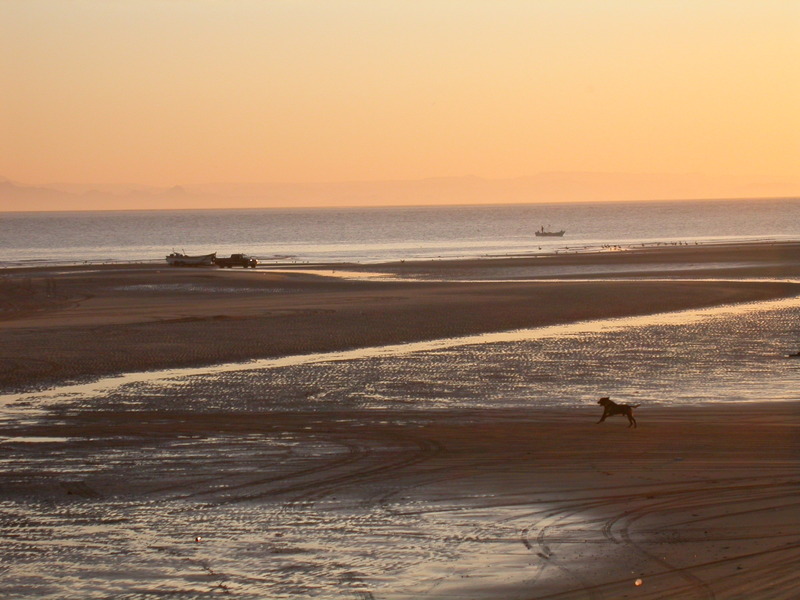 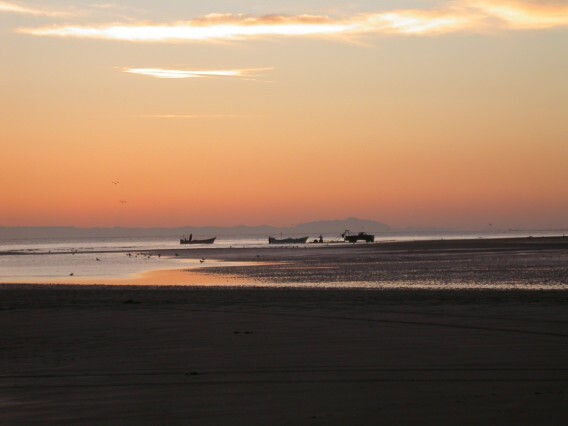 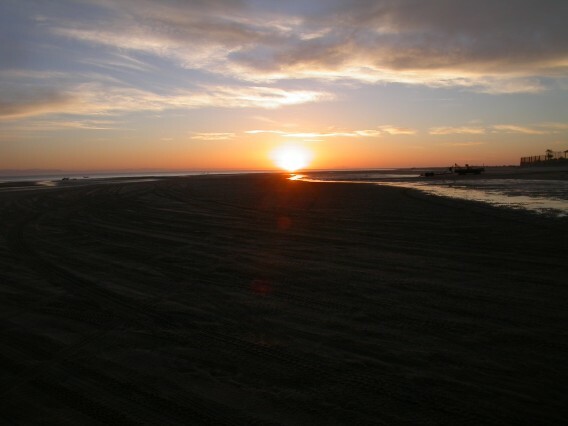 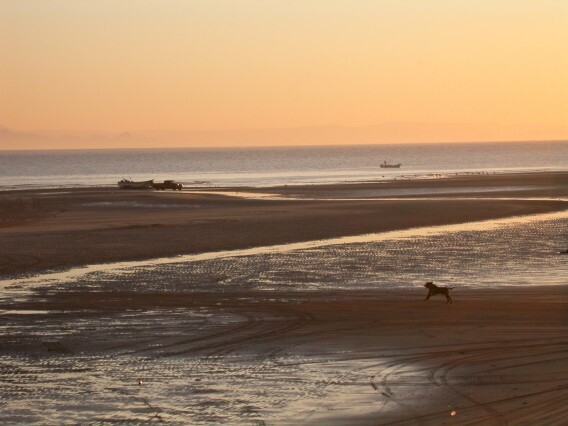 We had lots of fun walking on the beach at sunset, and watching the local fishermen launch their boats. 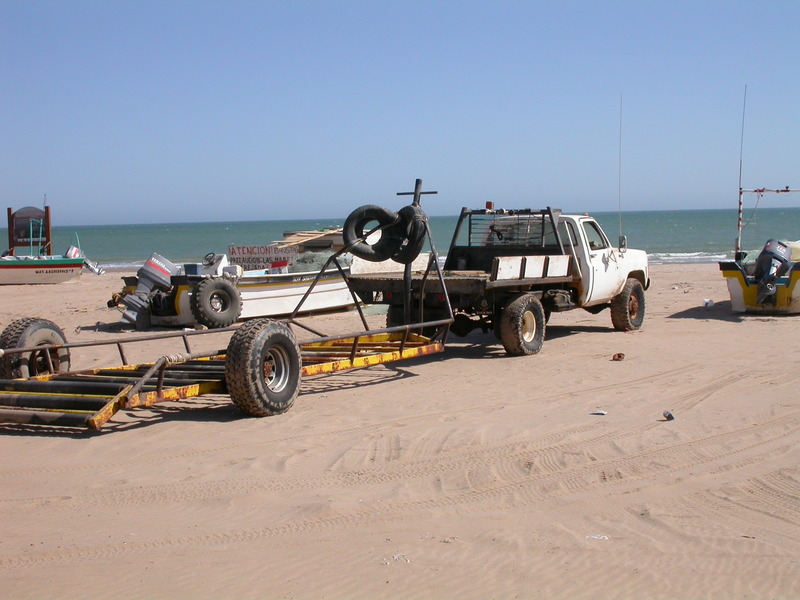 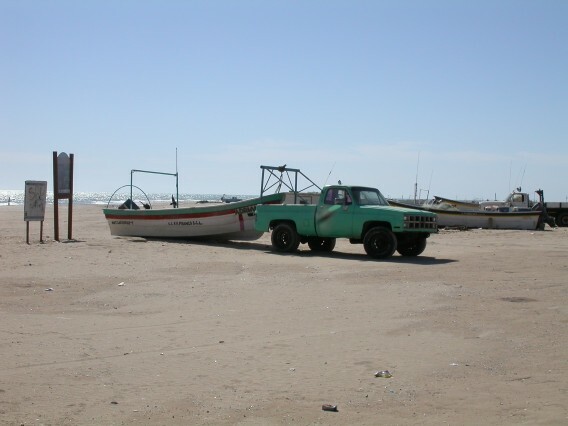 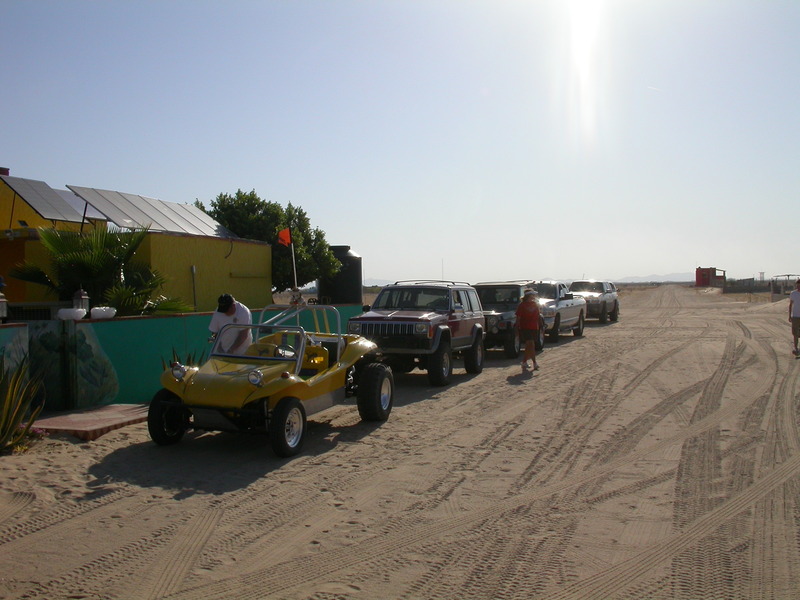 They still haul many of the boats through the sandy streets with pick-up trucks, but most have gone to special trailers with wheels rather than the traditional dragging method. 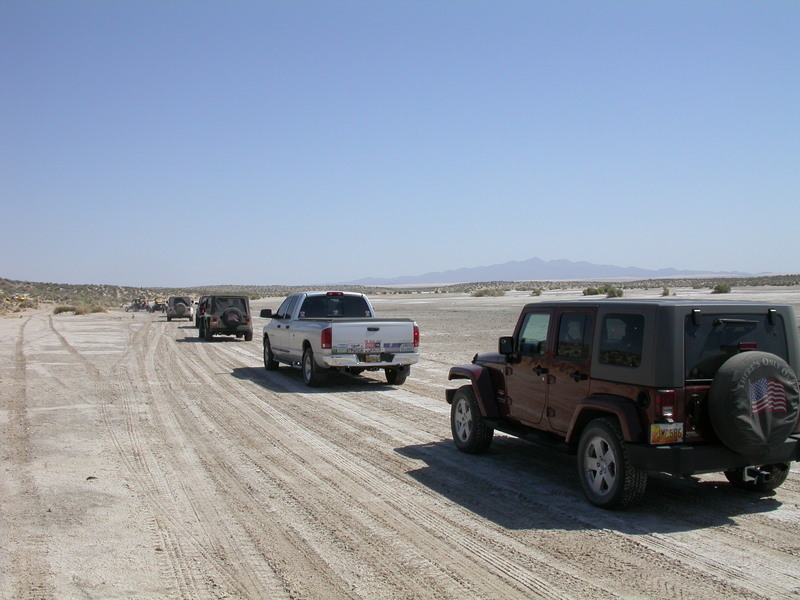 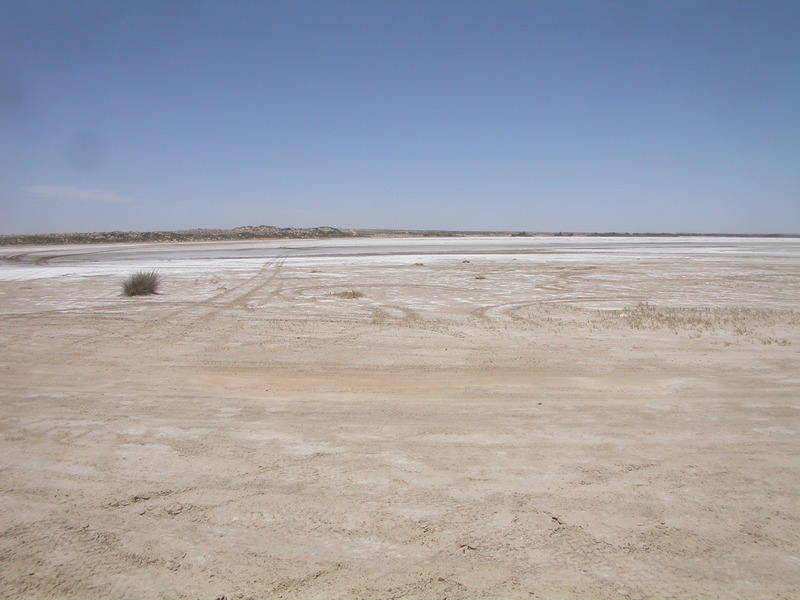 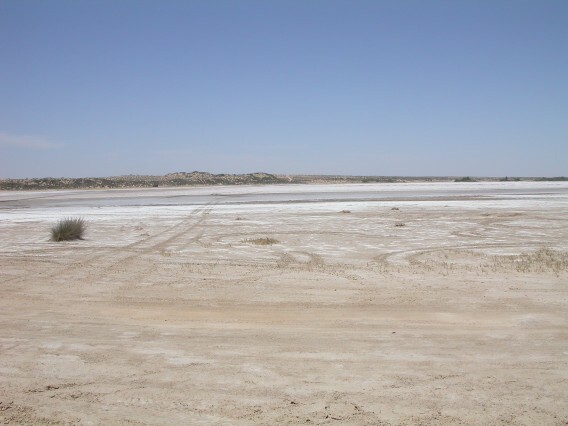 Crossing the salt flats along the right-of-way of the railroad. 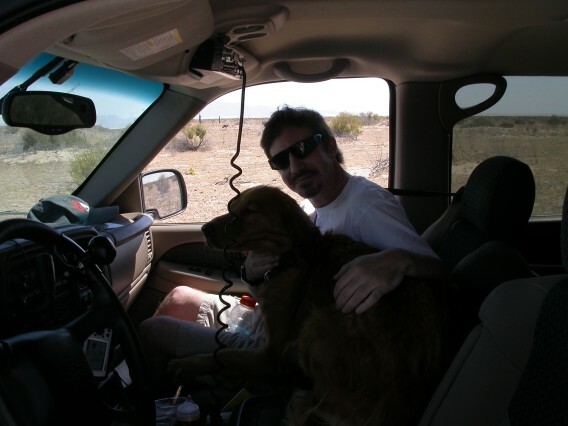 I left my door open, and this golden took my seat! 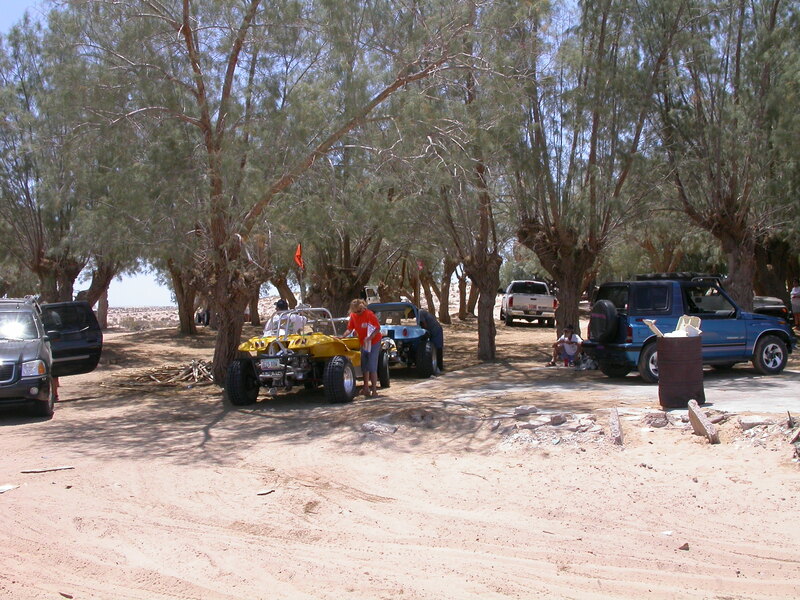 Our lunch spot at Lopez Collado. 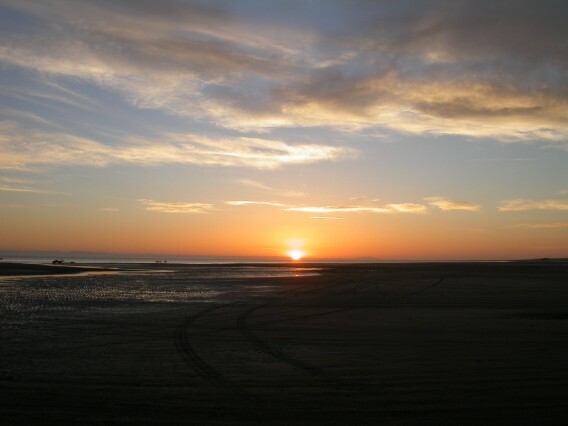 Don't even think about driving off the track while crossing the salt flats. 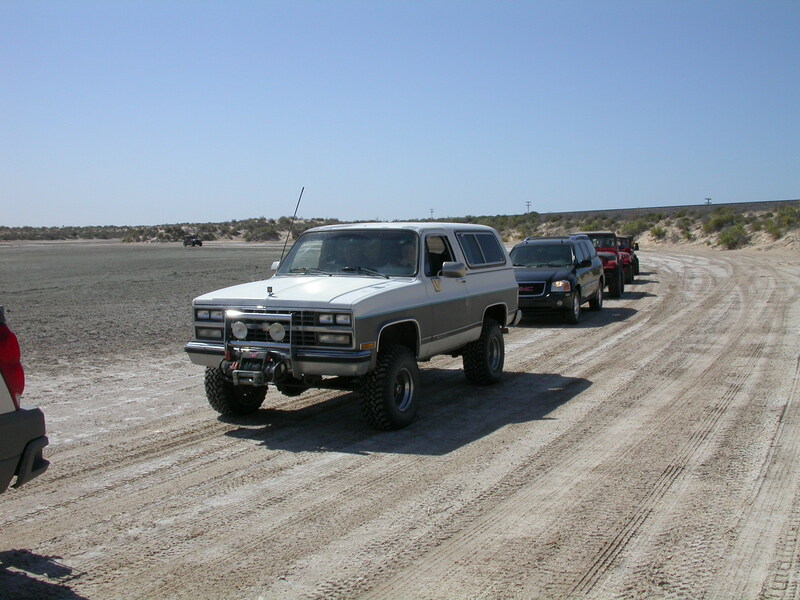 Street tires aren't quite enough in the soft sand. We arrive at the beach at last! Soon the tide pushes us up onto the cliffs above the beach. 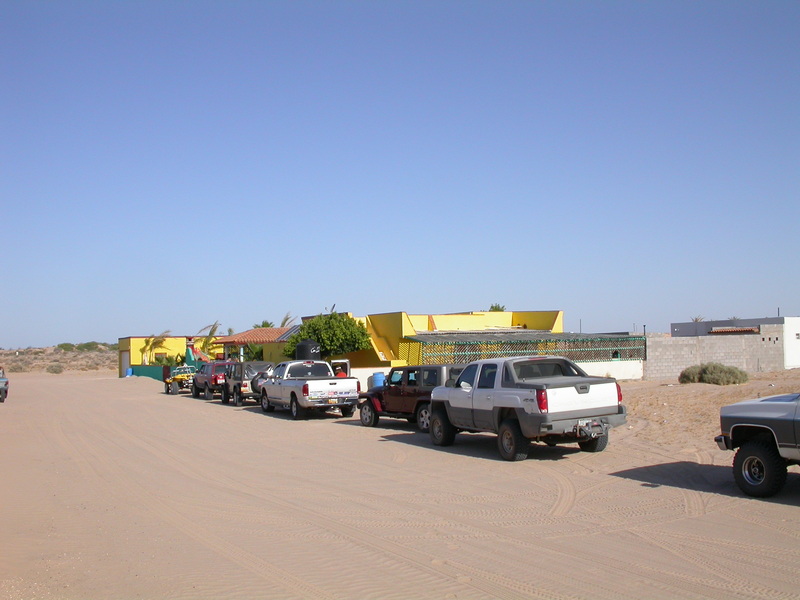 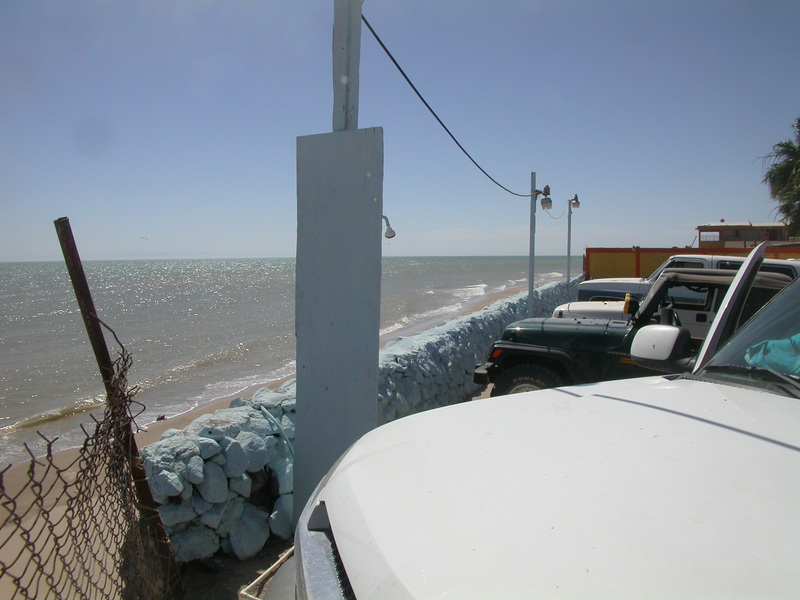 Las Conchas motel and restaurant in El Golfo. 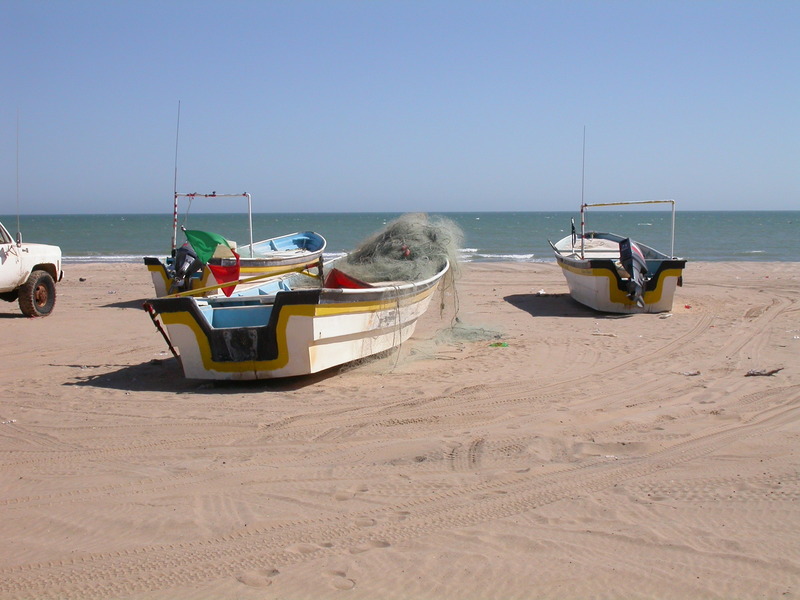 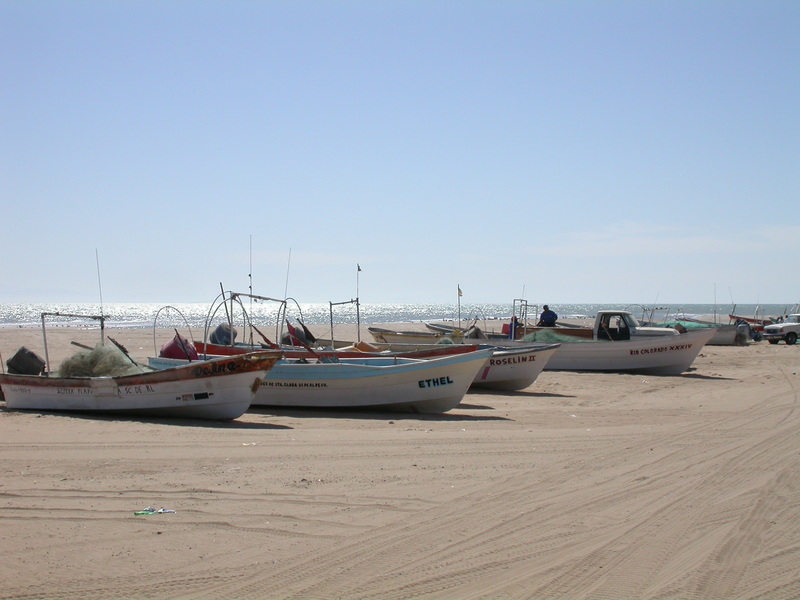 Fishing boats on the beach ready to launch. 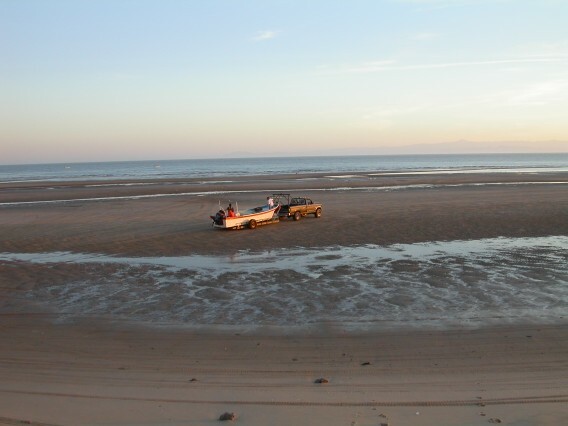 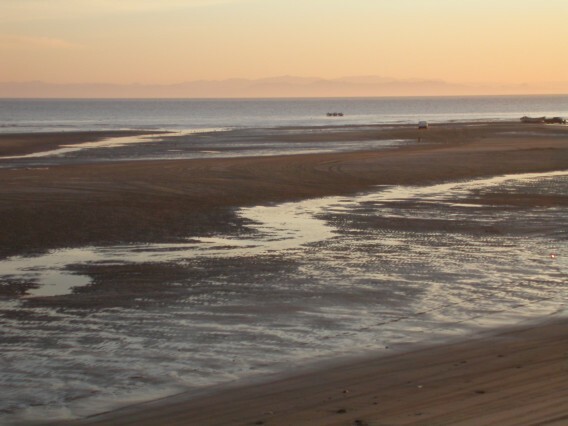 Launching boats at low-tide near sunset.